Greedy land speculators were quick to arrive at a new town named Donora alongside a sharp bend in the Monongahela River in 1901. Bidders camped overnight beside stakes marking vacant lots on farmland before the property auction began there at 10:30 a.m. Sept. 10, 1901. 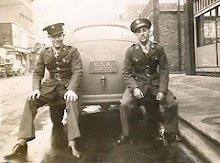 “A gun was fired and the rush for lots started,” local historian J. P. Clark wrote in a 1951 story about the quick rise of this gritty steel town. Within a day of the first public sale of land, two hundred lots were sold for a grand total of more than $100,000 in anticipation of the mill that, five decades later, was linked to the nation’s deadliest air-pollution disaster. But, no one then was linking air pollution to poor health. That wouldn’t happen until late October 1948, when a mysterious fog hovered over the region and 20 people died breathing the fumes from Donora’s smokestacks. In 1900, America was deep into its Industrial Revolution and steel, coal and smoke meant money to investors who built Donora and other towns like it in Southwestern Pennsylvania. The Donora land sale was announced after Pittsburgh tycoon Richard B. Mellon purchased 230 riverfront acres there for the Union Improvement Co., an affiliate of Union Steel. He and his brother, Andrew, had already built fortunes in coal, coke, steel and railroads. The Mellons also had a friend, coke baron Henry Clay Frick of Fayette County, who also took a chance on the once-picturesque curve in the valley known for its thick air. Riverboat captains had already named this stretch of the Mon River “Hell’s Bottoms” because morning fogs limited their view from the pilot’s cabin and made navigation more dangerous. They fog didn’t scare away an entrepreneur, William H. Donner, who was born in 1864 in Columbus, Ind., and dabbled in real estate after reviving his family’s failing grain mill in his early twenties. Donner made a fortune by investing in natural gas deposits that brought industry to Indiana. He rose to president of Union Steel Co. by 1899, three years after building a tin mill in Monessen, another steel town that shot up overnight across the river from Donora. 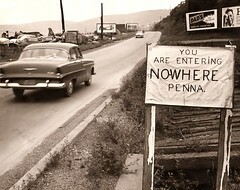 Monessen was attractive to Donner because of its proximity to the region’s rich coal and natural gas deposits, and those resources he owned in Indiana were quickly being depleted. Donner, however, sold his Monessen business to American Tin Plate Company and concentrated his efforts on Donora. The borough incorporated in February 1901, taking its name from Donner and Nora Mellon, wife of A. W. Mellon. He enticed Andrew Mellon to his new investment in an 1899 letter stating the national consumption of wire rods was skyrocketing. That same year, Donner wanted to build wire and rod mills on Donora farmland to compete against American Steel & Wire Co. of New Jersey. That company was forming a monopoly, threatening the interests of Carnegie Steel Co, which included Frick among its largest suppliers. Industrialist Andrew Carnegie offered to sell steel to Donner or purchase Donner’s new mills, a plan that initially fell through. Carnegie and Frick parted ways so Mellon took the lead in Donora and brought Carnegie back into the fold. 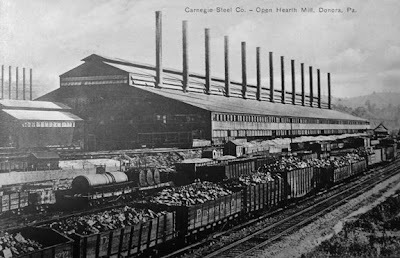 Carnegie saw no other way to compete against American Steel & Wire unless he built blast furnaces in Donora to supply Donner’s new rod and wire plants. Carnegie met in Scotland with Mellon and Pittsburgh steel titan Charles M. Schwab to discuss Donner’s dream for Donora. Upon his return to the United States, Carnegie focused his attention on building railroads to integrate his mills with Frick’s coke fields. 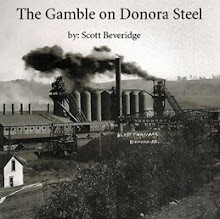 Schwab, who would later become president of Bethlehem Steel Corporation, saw Donora as a gamble because of the high costs Donner was investing in the area. Schwab did not like Donora’s location, either. Donner, Frick, and Mellon proceeded in Donora without Carnegie, but not for long. Carnegie returned and briefly leased the property in early 1901, and established a blooming mill on the site. By then, Schwab was president of Carnegie Steel, and about to broker a secret deal to sell Carnegie out to U.S. Steel. In short order, U.S. Steel folded Donora into its corporation and Carnegie retired into a life of philanthropy. But Union Steel held tight to its holdings in Donora, and insisted it was not out to compete with U.S. Steel. The creation of Donora’s new mills was announced June 21, 1901, in the local weekly newspaper, The Donora American, just four months after the U.S. Steel merger. The Donora headline forecast the creation of one of the largest steel plants in the country, at a cost of $20 million. The company also was building the largest rod, wire, and nail mills in the world, plants that would be operating within a month in Donora. 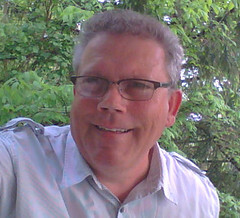 Meanwhile, Donner announced his $1 million purchase of the Mesaba Iron Ore Range in Minnesota. It was the largest iron region in the world, and its mineral reserves would provide a source for producing steel in Donora for years. New immigrants hungry for work and merchants quickly set out to build a metropolis overlooking the new factories. A history of Webster, Pa., from "ye olden tyme"